Evil Genius comments: I would like to thank John who posted in the comments and gave us the location to this collection item. Evil Genius comments: “Divine” Style for your head piece. This entry was posted in Briefing and tagged Briefing, Gotham. Bookmark the permalink. 8 Responses to Gotham Now! Gotham now: Joker Is in the east end somewhere. I don’t remember but that is where it is. Nvm, seems like arkham and SCUE were mixed up. Hmmm, here’s a possibility with all the location mix ups, could the difference in platform (PS3as opposed to PC) be the issue? If you look at the maps, these are the same thing (Arkham and SCUE). I went to each location needing Arkham and I ended up at the same spot when I tried the SCUE and Arkham locations. I figured out the problem. 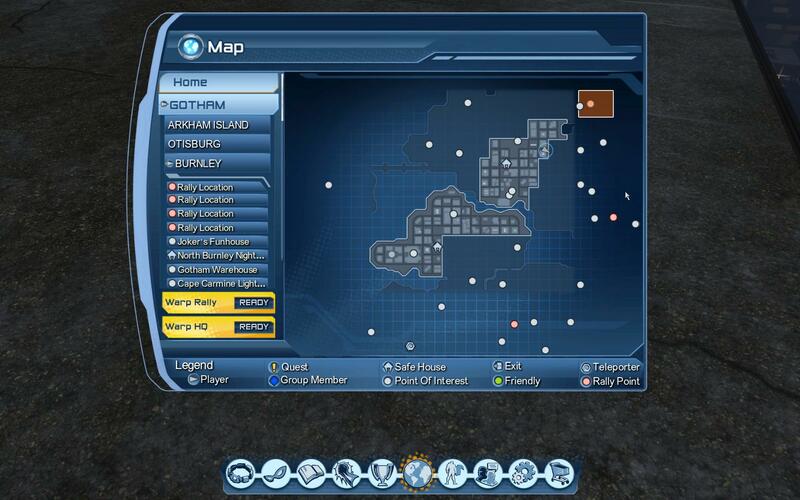 The picture showing the location of Arkham Asylum is correct, but the map is wrong. Go to the gate of Amusement Mile (the arch that says Amusement Mile). Turn West. Stay on the right side of the street. Run 3 blocks. At the third street, turn right. Go up the hill towards a Gotham Gazette sign on the right. The icon is below the sign near a lamp post. If you turn 180 degrees and face West, you should see a small one story building near a parking garage. On the opposite side of this building is Arkham Unleashed Episode 2, #6 The Joker. THX Jeff Houghs…..i searched 3 Hours and used 2 Radar Enhancer for this before i saw your post!